Any person involved in the design, specification, engineering, construction/renovation, or code compliance inspection of buildings and/or fenestration products and/or related components and accessories is eligible for Professional Membership. Members must maintain a professional engineer (P.E. ), registered architect/specifier, builder/remodeler, government/code official and/or other similar qualifying state license to be eligible. Professional members may not be eligible for, or employed by, a person, firm or corporation engaged in business activities as defined under the Manufacturer, Supplier, Service Provider or Test Laboratory Membership. Any candidate for Professional Membership having more than half of their business function involving the conducting of fenestration testing (laboratory or third-party independent field testing) must meet the eligibility requirements for a member under the Test Laboratory classification and must join as such. A 50% dues discount will be awarded to any applicant who maintains InstallationMasters® or FenestrationMasters® Program certification for the entire membership year. Any person that is a student or professional employed by a nationally recognized academic institution in an instructor or research capacity. If the individual is employed by a company eligible for another membership type, the individual would be ineligible for the Educator/Student membership type. 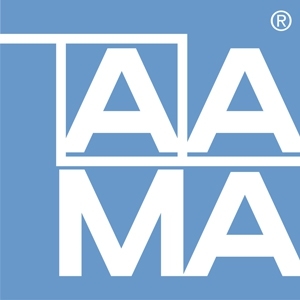 Any person providing technical consulting services to construction industry professionals, building or homeowners, and/or manufacturing businesses related to the fenestration or construction industry and/or installation firms working in the residential or light commercial markets is eligible for Technical Consultant Membership. Technical Consultant members may not be eligible for, or employed by, a person, firm or corporation engaged in business activities as defined under the Manufacturer, Supplier, Service Provider or Test Laboratory Membership. Any candidate for Technical Consultant Membership having more than half of their business function involving the conducting of fenestration testing (laboratory or third-party independent field testing) must meet the eligibility requirements for a member under the Test Laboratory classification and must join as such. A 50% dues discount will be awarded to any applicant who maintains InstallationMasters or FenestrationMasters Program certification for the entire membership year. Service Provider – services provided to manufacturers and suppliers of fenestration products or services provided to building owners. Includes, but is not limited to: dealers, distributors, engineering firms, commercial glazing contractors and software providers.